We are Husqvarna Certified meaning we’re a company you can trust to deliver the highest quality Polished Concrete in the industry. 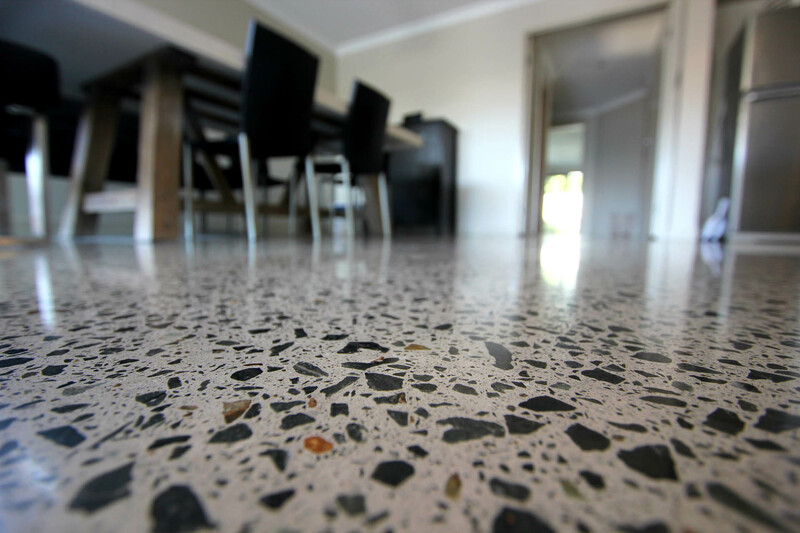 Polished Concrete is fast becoming the number one choice when looking at flooring options. As well as being used widely in the commercial industry by many big name department stores, it is fast gaining a reputation in the residential industry for being the environmentally sensible solution. Its practicality coupled with the modern stylish look, along with easy maintenance and durability, has seen its popularity soar in recent years. Most people don’t realise however that there are two different types of polished concrete. The first is called a mechanically polished concrete (MPC) and the second is commonly referred to as a grind and seal (G&S). You can view our short video that explains the main differences between the two by watching the video below. Basically the mechanically polished concrete or MPC is a more high end finish and is for indoors only. In this process it is the actual concrete itself that shines. There is no topical coating that is applied, and therefore the finish will last you a lifetime if cared for and maintained properly. The grind and seal method is a more cost effective option of getting a similar finish. The process however involves a clear coating to be applied to the top of the concrete which will wear away over time. It can also have a non-slip grip added and can be used both indoors and outdoors. It is very popular now for garages, driveways, shops, restaurants, bars, homes and offices. With both methods of polished concrete, you are able to choose your level of stone exposure (how much aggregate you want to see coming through the floor), and you can choose the gloss level – matte, semi-gloss or high gloss. There are many benefits of polished concrete; it is better for your health, saves money on your energy bills, is environmentally friendly, easy to clean, extremely durable and is very affordable. With the addition of course that it also looks sensational, is completely versatile and there is a finish to suit every style and budget. I think you will agree that you simply can’t go wrong with polished concrete!